When I was a young bride, my mother gave me a lesson on how to buy a week’s groceries on twenty dollars (not including paper & cleaning products). 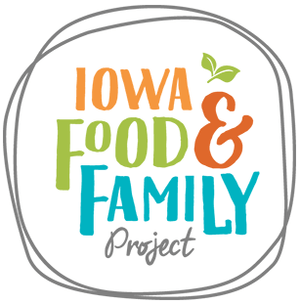 OK, yes, that was a long time ago, but I’ve never forgotten how to be frugal when necessary and with a little planning create healthy, filling and enjoyable meals for my family. 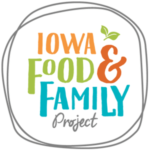 Since I am doing the 10 Week Wellness Challenge with the Iowa Food and Family Project, it seem like a good time to share some rotisserie chicken ideas and recipes. 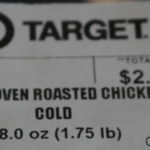 As mentioned above, I like to be frugal and one of my recent discoveries is that Target marks their rotisserie chickens down to $2.75 for a whole chicken — not per pound — for the whole cooked chicken the day after Target sold them hot. I buy 2 or 3 and freeze them for future use. 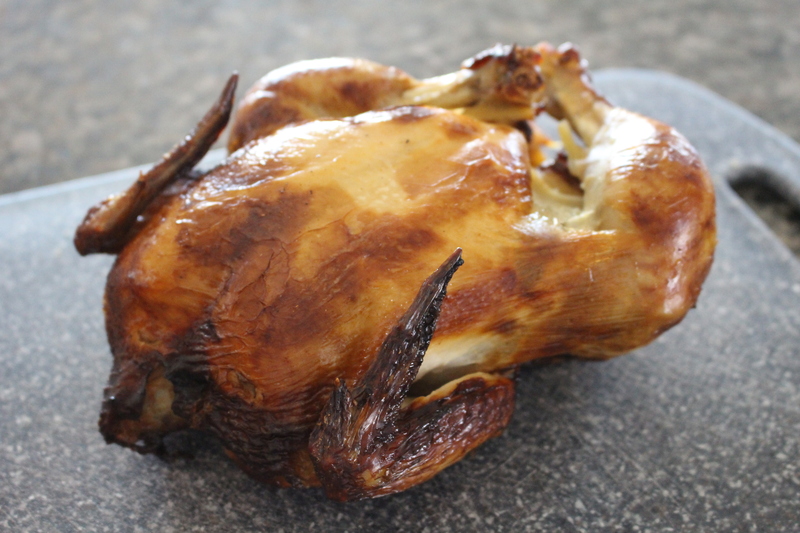 The obvious meal is to have with our rotisserie chicken on a busy night and serve it with mash potatoes or rice and a veggie. My husband and I love that meal. 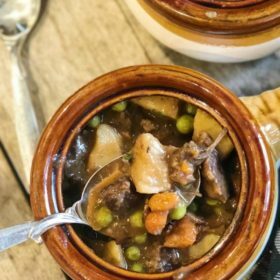 It is super easy to grab on out of the freezer, defrost for 10 minutes and pop it into a roaster in the oven at 350 degrees for about 30 minutes covered with some added liquid in the bottom of the pan. 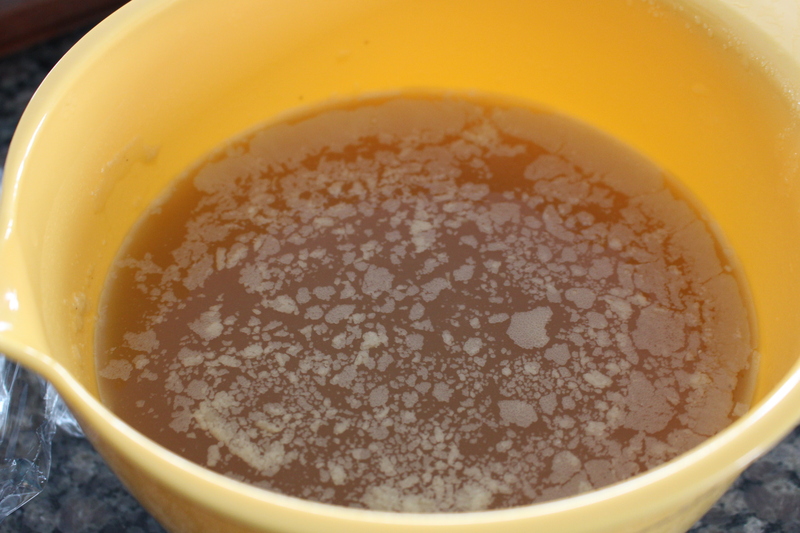 A 1/2 cup of water, chicken broth or white wine will work. This will keep it moist. 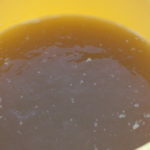 After 30 minutes take the cover off and up the heat to about 400/425 degrees for 15 minutes or so to crisp up the skin. But that really doesn’t count as a recipe….. I purchased this chicken on 2/20 — Note the sell by date is 2/22. Freeze or eat by that date. 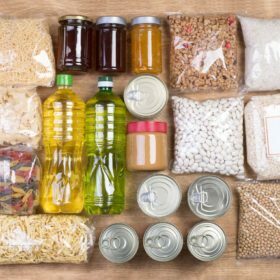 The idea is that you will have something quick in your freezer to grab on a busy night and turn into a healthy meal. I like to shred up the chicken and use it for a quick dish. 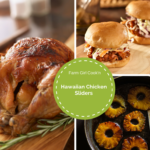 Shredded chicken is very versatile, it makes wonderful Hawaiian Chicken sandwiches with grilled pineapple on those sweet, soft, wonderful Hawaiian buns, a quick white bean chili, a chicken casserole, or if you diced it instead of shredding you have the makings of a delicious stir fry. 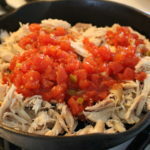 Because it is so flexible you don’t have to worry about having “all of the right” ingredients — just use what you have I use it a lot for Mexican dishes such as chicken enchiladas, quesadillas, tacos, burritos or a chicken taco salad. However, you choose to use the rotisserie chicken on of my rules is DON’T THROW AWAY the bones and left-over bits of meat. 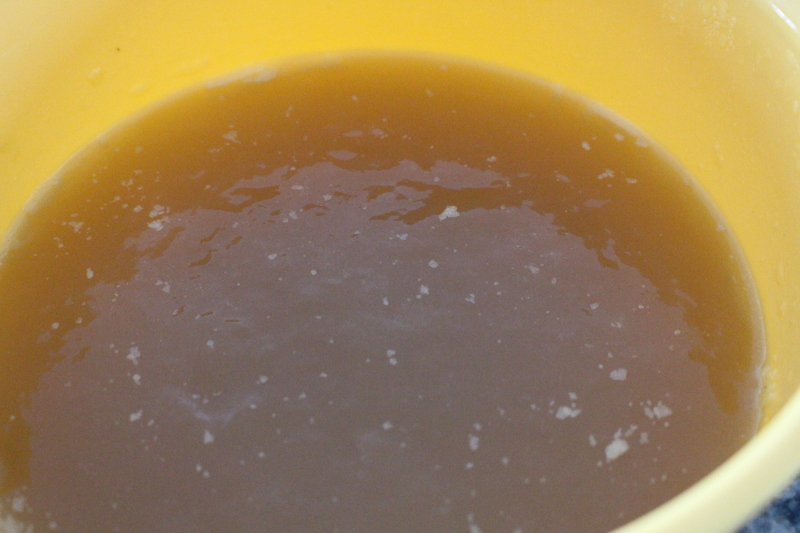 This is your opportunity to make some delicious chicken broth for sauces, soups and casseroles. 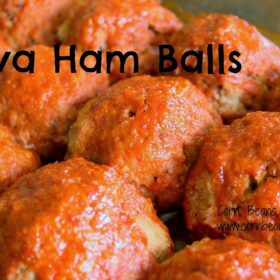 See my easy oven recipe below. 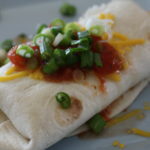 The Chicken Enchilada recipe below one of my go to recipes that my son has always loved. 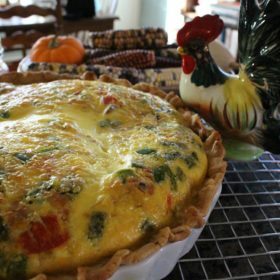 It has a little cream cheese in the original recipe, but you can leave out the cream cheese if you want to lighten it up a little more. Warm rotisserie chicken to make it easier to shred. Shred chicken using 2 forks – I prefer my clean hands — easier for me. Add salsa — stir and warm. 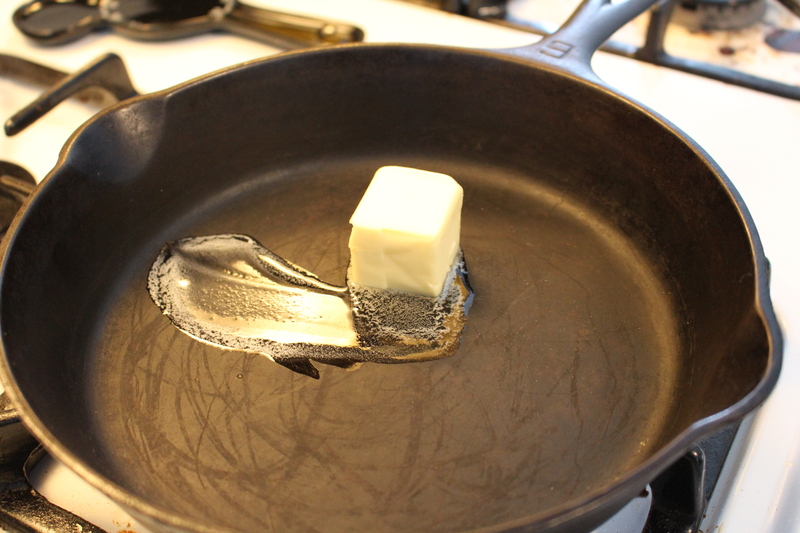 Add cream cheese and melt if you are using it. 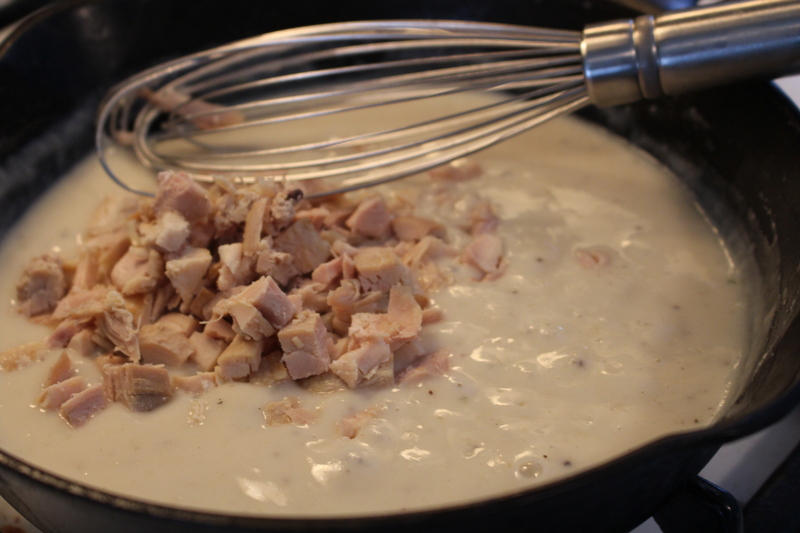 Add chicken mixture to a warm tortilla. Sprinkle with cheese if desired. 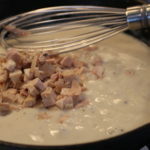 Wrap chicken mixture. At this point you can fill a pan with wrapped enchiladas top with cheese and pop in the oven to melt. Or this is a good point to cover and freeze for another day!. Serve with your favorite toppings. 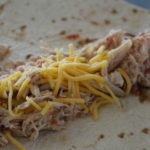 Easy Chicken Enchiladas using rotisserie chicken. 1 pint Jar of your favorite salsa -- use more if you like it a little saucier. Toppings -- extra salsa, hot sauce, green onions, sour cream, avocados, etc. 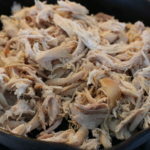 Defrost and warm up rotisserie chicken -- it is easier to shred when it is warm or room temperature...I use my hands but two forks work nicely too. 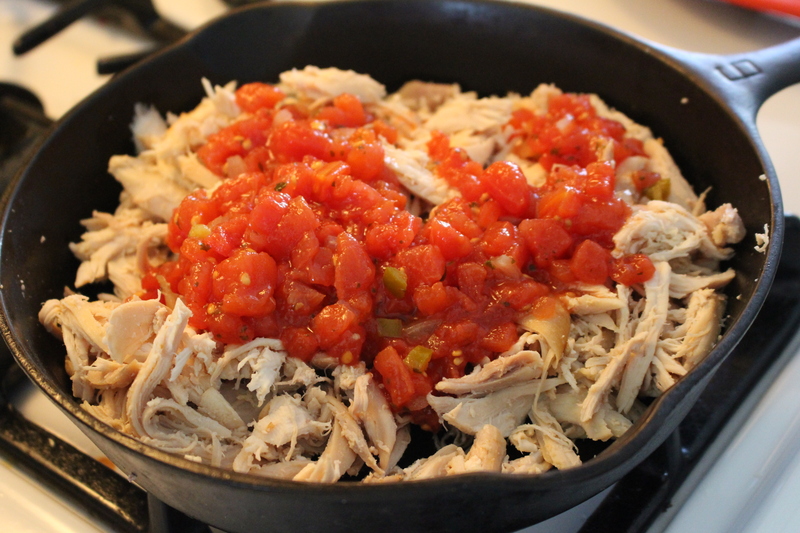 Put shredded chicken in a saute pan, stir in salsa and hot sauce warming it through. 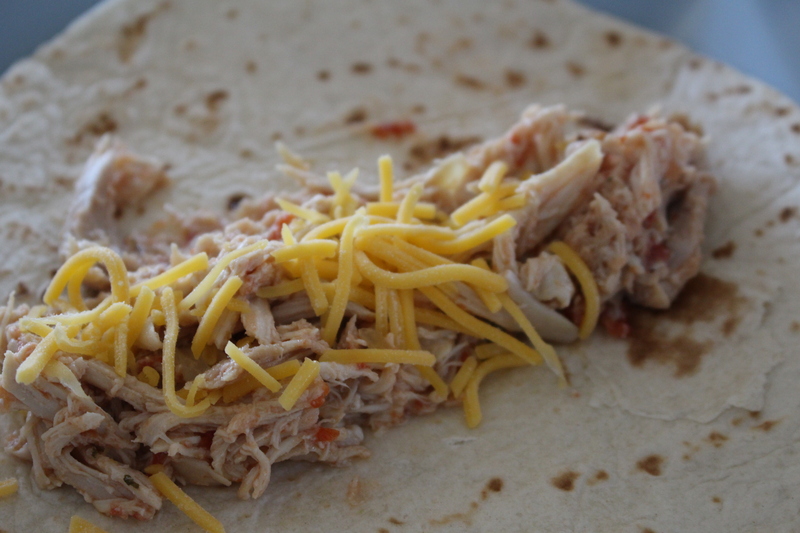 Fill tortilla with meat mixture, sprinkle with a little of the cheddar cheese. 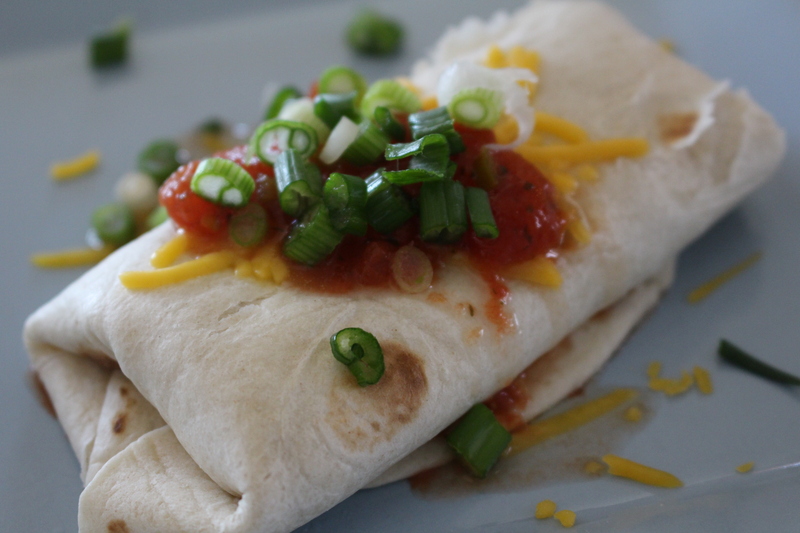 Put wrapped tortilla in a baking pan greased or sprayed to keep from sticking. Cover with foil and bake for about 15 to 20 minutes until cheese is melted and tortillas are hot. You can uncover and bake for a few minutes if you want to crisp them up. If you aren’t in the mood for Mexican try this fresh and easy version of a Hawaiian Chicken Slider. You can use a crockpot on low for the meat and marinade — however, don’t put the pineapple in with the chicken. The acidity of the pineapple will disintegrate the chicken after time and you will have mush! 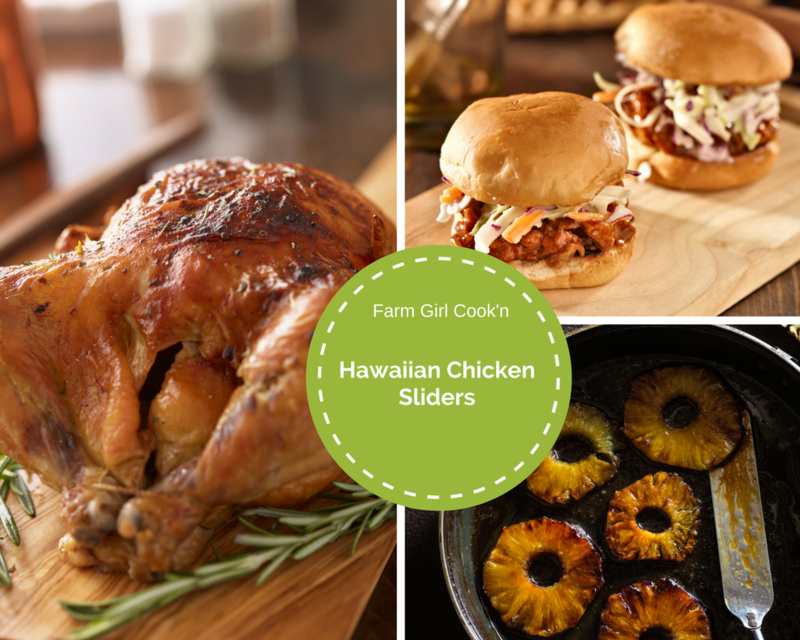 These fresh and easy Hawaiian Chicken sliders will be a hit with your family and great at a summer party! 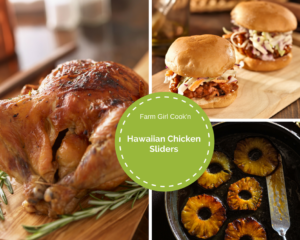 On Hawaiian bun or roll add meat and a pineapple slice and an optional squeeze of a sweet chili sauce. 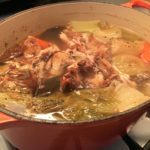 People are often intimidated by the thought of making their own chicken broth, especially when you can buy it in many forms, can, powders, cubes, etc. Why make your own? Because you control the ingredients and flavors, plus I think it’s fun. 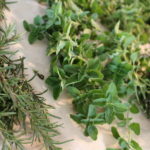 I love to use fresh herbs when I have them available to add big flavor to my broth. 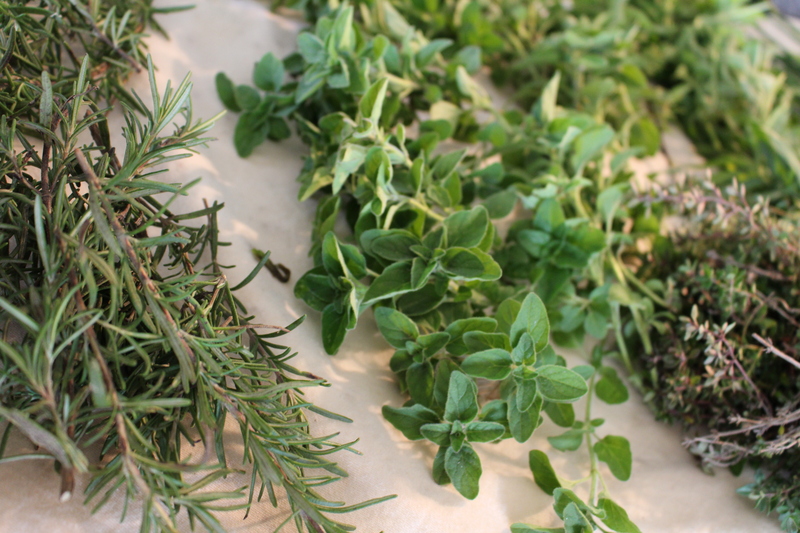 Thyme and Rosemary are my favorites. 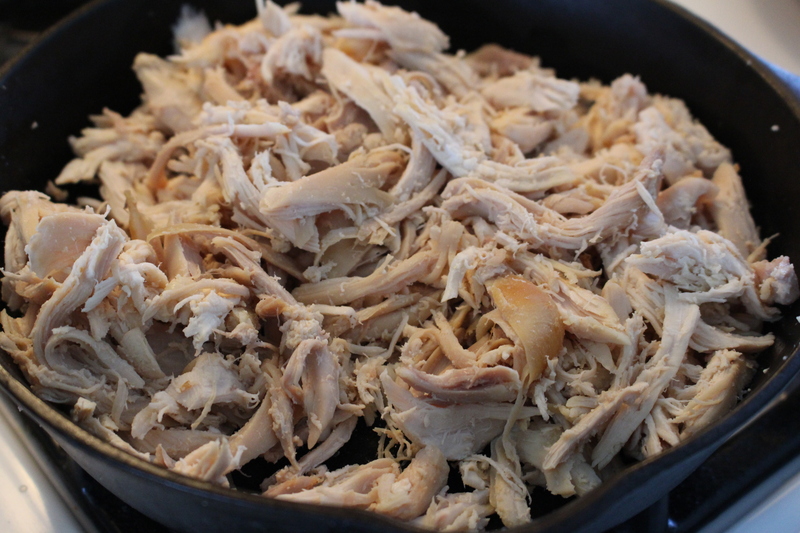 Put remains of rotisserie chicken into an oven proof roaster — I like to use my old Dutch oven. 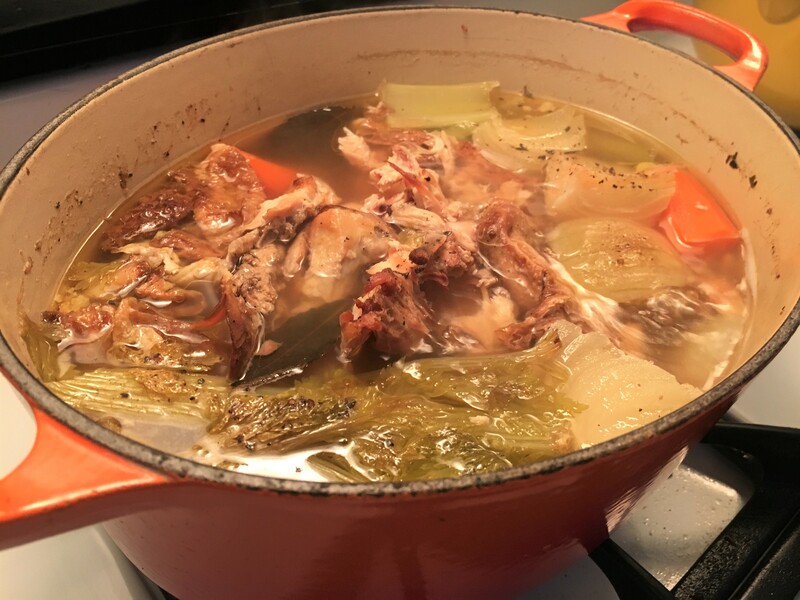 There are 2 ways that I do this depending on the time I have — if I have all day I will roast the chicken bones and carcass uncovered on 350 degrees for at least an hour to add depth of flavor to the broth. 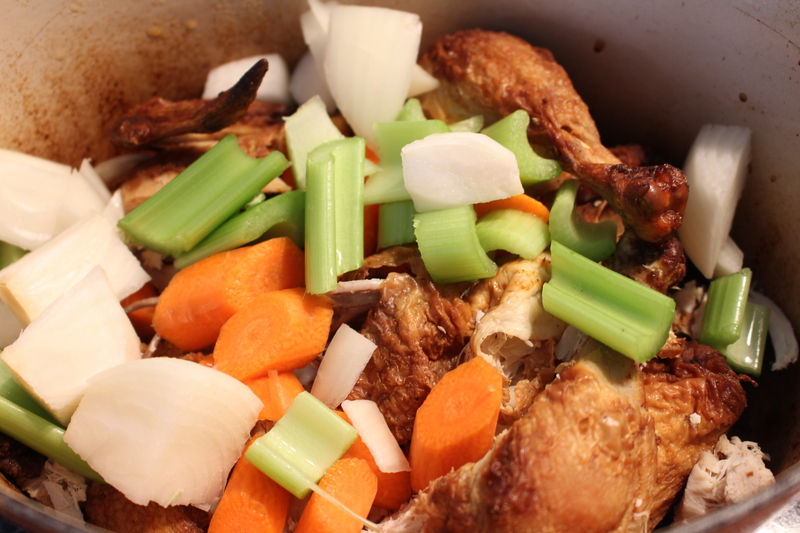 Then I will add veggies — carrots, celery, onion and cover water and let simmer for at least 2 more hours. 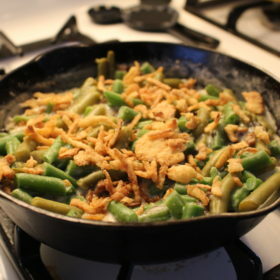 If short on time add veggies and water and just pop into oven with cover — but leave cover slightly off to let out steam — leave in the oven for at least 2 hours for best flavor — add additional water and season as necessary. 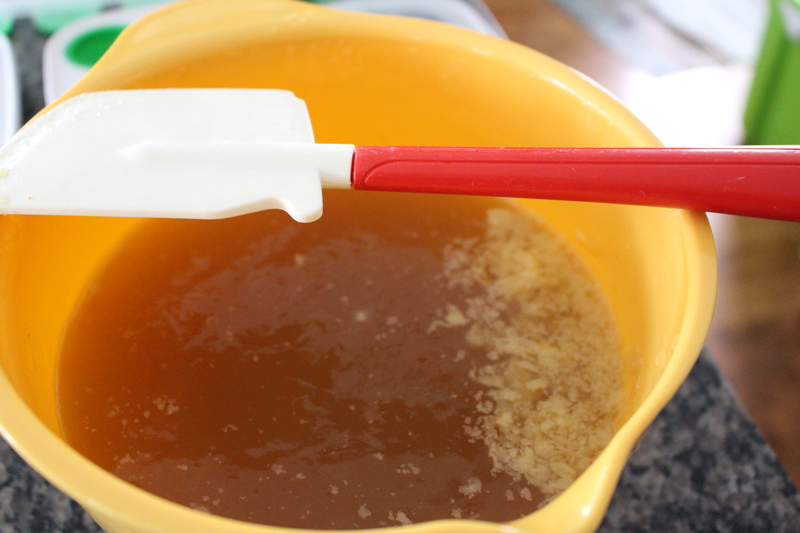 Use a fine strainer to strain off the clear broth. Ok, here is where I finally throw away the carcass and all. Yes, I probably could pick through it all and make yet one more dish, but really. I’m done. Cover your broth and store it in the fridge. The fat will rise to the top and make it easy to remove. 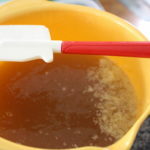 The broth will have the consistency of a soft jello so it will be easy to scrape off the extra fat. 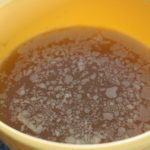 Here is my clear broth ready to use or freeze. 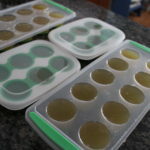 Freezing in these easy to use ice cube trays and herb containers makes it easy to grab out just a bit when I want to use the broth. Both have silicon bottoms and pop out perfectly. 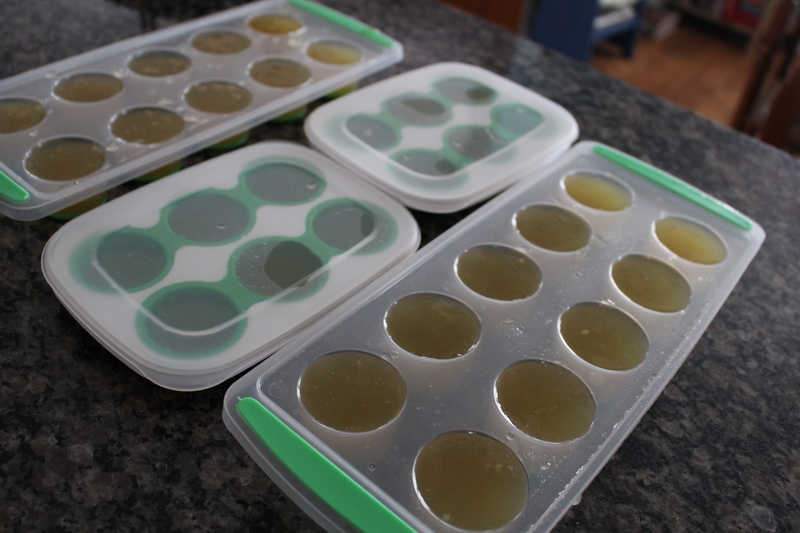 Each cube from the large tray is 1/4 of a cup. This makes it super easy to get the correct amount for your recipe. 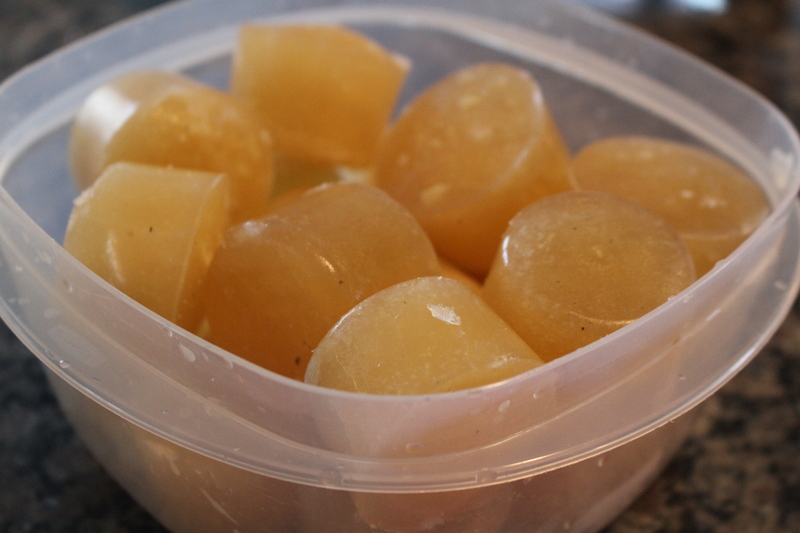 Freeze in a freezer safe container for later use! 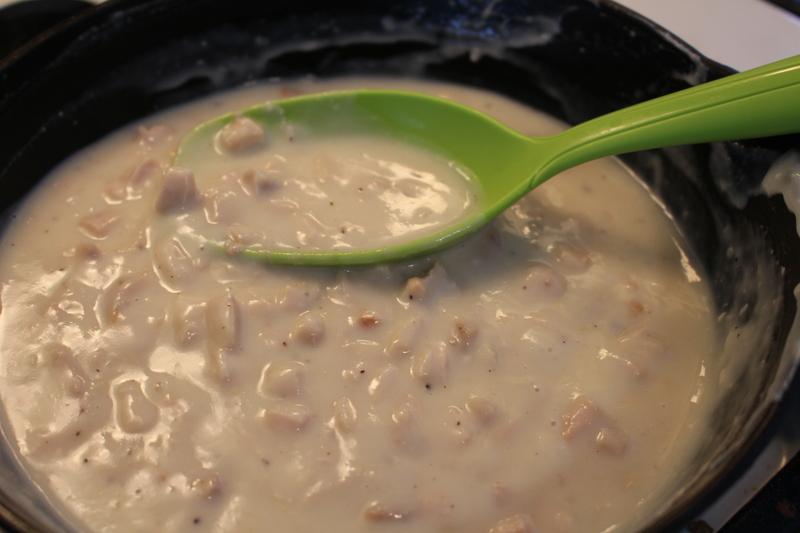 Make this easy oven chicken broth with the left-overs from a rotisserie chicken. Freeze for later use. 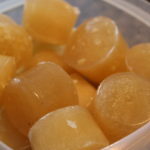 ** If you like garlic you can add one whole clove, but I like mine without for more flexibility and a more traditional flavor. 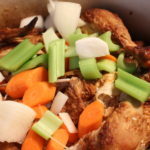 If you have time roast the chicken and carcass for at least an hour uncovered -- add a ½ cup or so of white wine or water to the bottom of the pan. Return to oven with a cover slightly ajar to allow the steam to escape for at least 2 more hours. Add water and salt as needed. Using a fine sieve separate the broth from the bones and veggies into a large bowl. 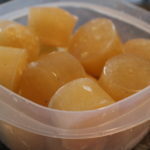 Remove fat from top of broth and store in freezer safe container. 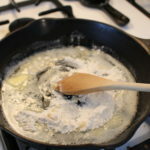 Cook flour and butter for a couple of minutes to cook the flour and make a flavorful roux. 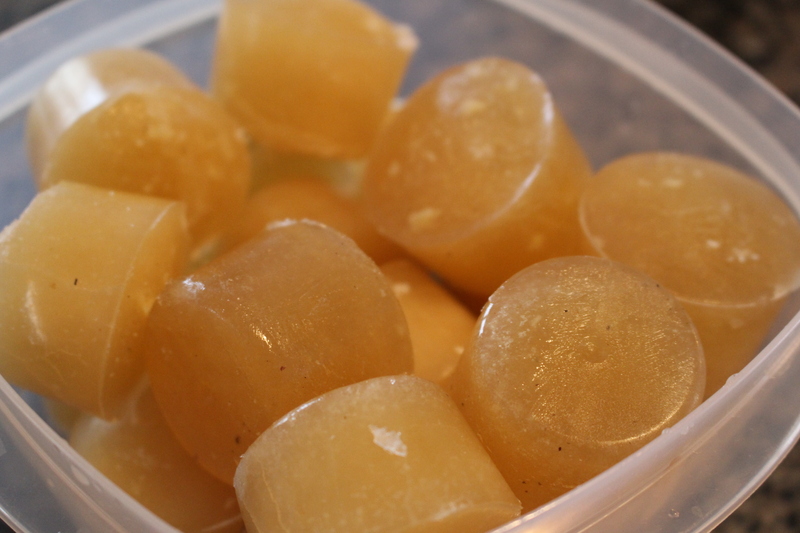 Use your frozen chicken broth cubes if you have them for your liquid. I did not melt them prior to putting them in the pan. 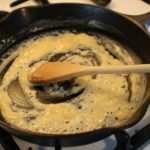 Add cold fluids slowly, stirring constantly to make a smooth sauce. 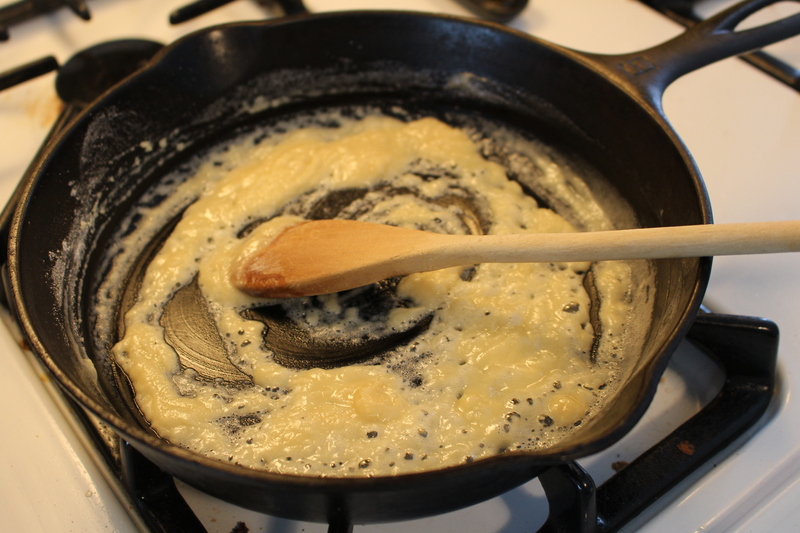 Add additional liquids to reach desired thickness. Add chicken and mix. 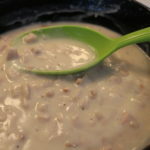 Use in casseroles or any recipe calling for Cream of Chicken Soup. Double or triple as necessary for your recipe. 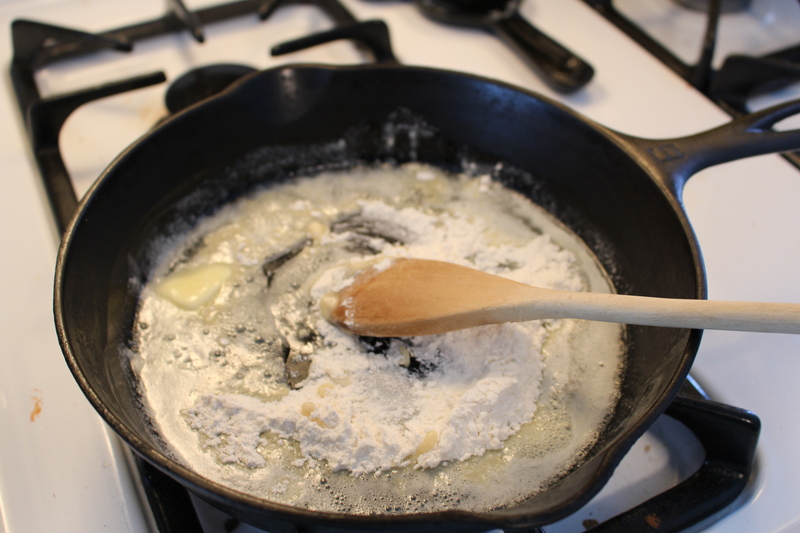 Sprinkle 2 TBSP of flour stirring constantly to create a roux. 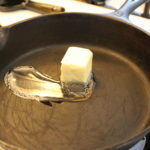 Cook 2 more minutes. 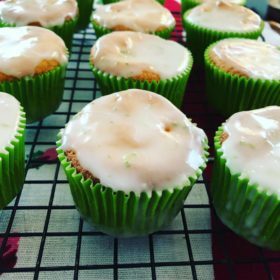 Yum, yum, and easy! I like to use the shredded cold chicken on salads too. Thanks for the ideas. 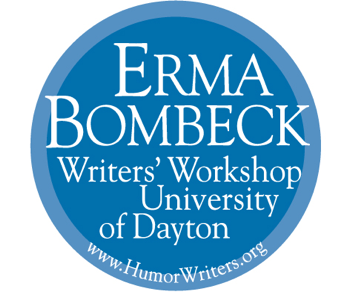 What great recipes and tips! First off, I’m sending my hubby to Target right now and I can’t wait to make my own chicken broth! Thank you! Target is a little hit and miss, but I check every time I am in the store! 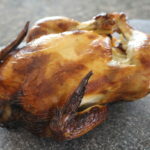 Great ideas for the all purpose chicken! 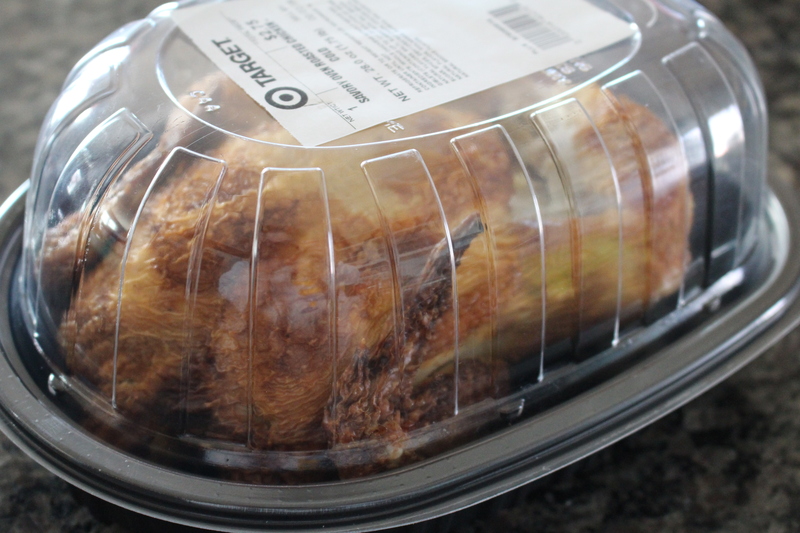 Rotisserie chicken is the ultimate convenience food. I’ve never seen any reduced-I think they sell to quickly. My mother in law uses them and, when she was younger, made soup with the bones. The are hit and miss in my Target…which why I by 2 or 3 if they have some. We might be in a smaller town. 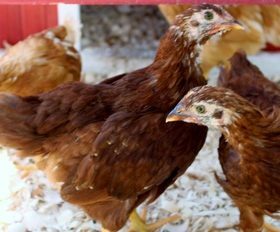 I love the versatility of a chicken! I just baked two small ones and we’ve had a chicken dinner with potato/vegetable, chicken mixed in gravy served over reheated mashed potato, a chicken noodle soup and I have enough meat left for a chicken pie. Had I seen your recipe for chicken enchiladas I might have opted for that as it sounds delicious! But I’ll file that away for the next time I have baked chicken. Your mother taught you well, Mary!